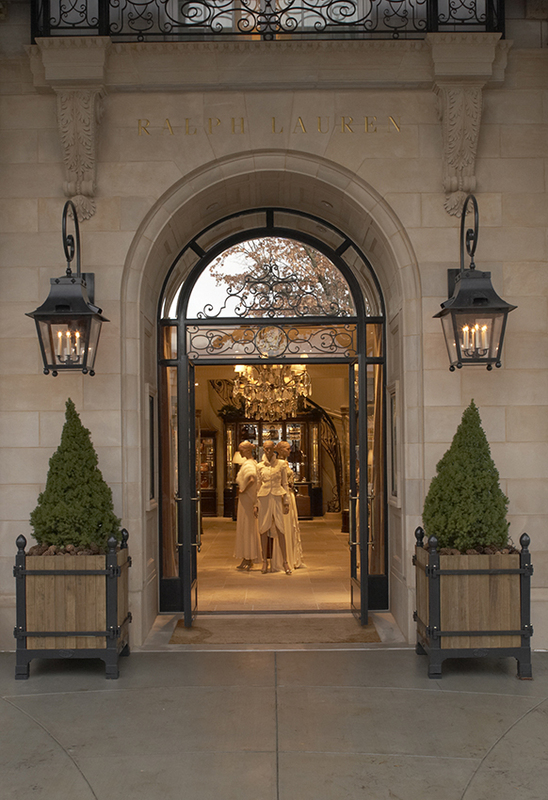 Opening in November of 2009, the Ralph Lauren luxury store in Greenwich, Connecticut is the latest addition to the brand’s long standing commitment of showcasing their product in buildings that reflect Mr. Lauren’s lifestyle message, as well as maintain the architectural heritage of their specific location. 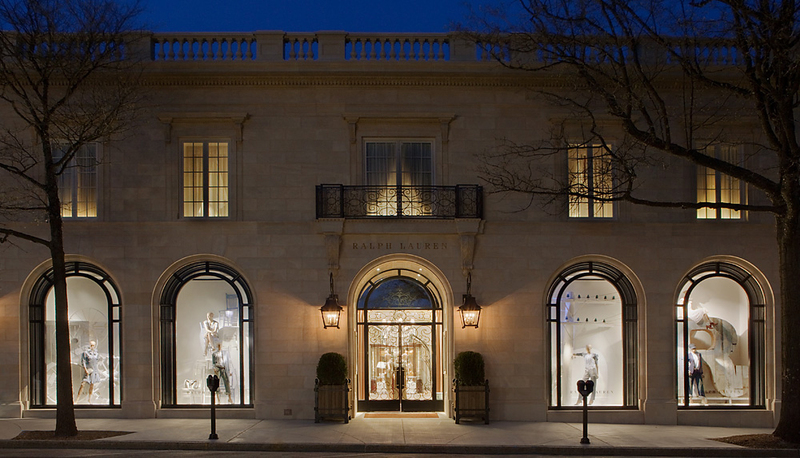 Located in the middle of the block, the 19,000 square foot 2 story structure maintains the continuity of the street which is flanked on either end by notable neo-classical limestone buildings. With restrained detailing in an adapted Ionic order, the facade features: 14 foot tall recessed arches with steel windows punctuating the street level; a decorative wrought iron balcony accentuating the deep paneled entry archway at the center; scrolled bracketed window head cornice over painted wood casements at the second floor; a decorative entablature; and lastly terminating with a stone balustrade. In order to reduce the scale of the 95 foot long facade, as well as express the individual Women’s and Men’s departments, the façade is broken into two sections, each with its own decorative steel entrance. 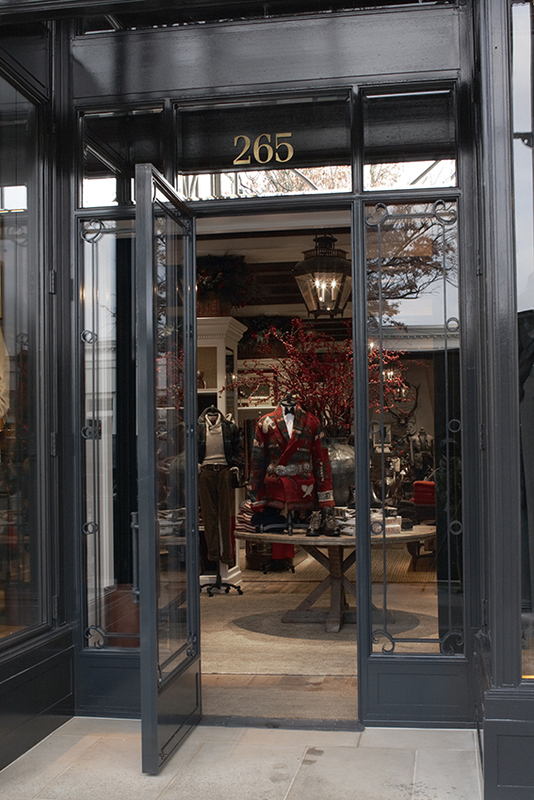 Interiors feature classically detailed rooms with elaborate casework, showcasing apparel and accessories.